How can our soldiers defend America when they’re so busy defending themselves? With regularity, new stories break about the incredible pressure our troops are under to disassociate themselves from their conservative and biblical views. Just this afternoon, Fox News’s Todd Starnes published an explosive report from Fort Hood, Texas, where new reports of anti-Christian harassment are surfacing from soldiers on the base. Like most people in attendance, one soldier was in complete disbelief at what he was hearing. “My first concern was if I was going to be in trouble going to church. Can I tithe? Can I donate to Christian charities? What if I donate to a politician who’s part of the Tea Party movement? I felt like my religious liberties, that I risk my life and sacrifice time away from my family to fight for, were being taken away.” So he did what a growing number of service members have done: he reached out to Todd Starnes and spoke up. “To classify the vast majority of the military that claim to be Christian as terrorists is sick,” the soldier said. Of course, the tragic irony is that evangelical Christians are being identified as a “threat” on the same base where a radicalized Muslim soldier gunned down 14 innocent people and injured dozens more in 2009. This community ought to know better than anyone that the terrorists aren’t peaceful, faith-loving, patriotic soldiers, but real killers like Nidal Hasan. Not surprisingly, base officials are denying the report. Unfortunately, fewer and fewer Americans are likely to believe them, especially on the heels of Camp Shelby’s training session, which lumped our friends at American Family Association with the likes of the offensive and dangerous groups like Westboro Baptist Church, Al-Qaeda, and the Ku Klux Klan. “How much longer can the Army claim no knowledge or responsibility for these things?” asked Liberty Institute’s Michael Berry. Not much, if the response to FRC’s petition is any indication. Thousands of outraged Americans are demanding answers from Secretary Chuck Hagel, the one man who can ensure that the military will train our troops — not push anti-Christian propaganda. If you haven’t signed on, click here and add your voice today! 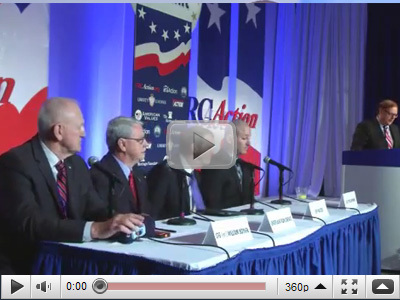 Also, if you missed our all-star panel on religious freedom in the military at the Values Voter Summit, check out the video below. The testimonies will surprise you!